From leading political figure and bestselling Hebrew author Yair Lapid comes a mesmerizing portrait of the author's father, one of modern Israel's leading figures. 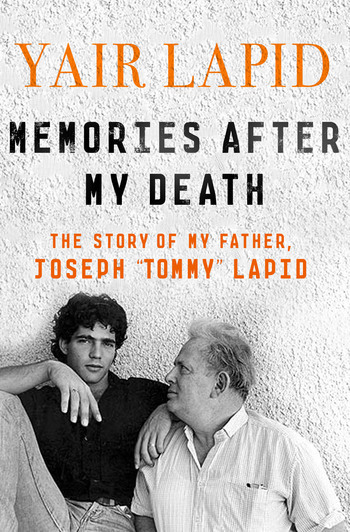 Memories After My Death is the astonishing true story of Tommy Lapid, a well-loved and controversial Israeli figure who saw the development of the country from all angles over its first sixty years. From seeing his father taken away to a concentration camp to arriving in Tel Aviv at the birth of Israel, Tommy Lapid lived every major incident of Jewish life since the 1930s first-hand. This sweeping narrative will captivate anyone with an interest in how Israel became what it is today. Tommy Lapid's uniquely unorthodox opinions - he belonged to neither left nor right, was Jewish, but vehemently secular - expose the many contradictions inherent in Israeli life today. I am writing this book after my death. Most people write nothing after they die, but I am not most people. YAIR LAPID is an Israeli politician who founded and serves as the chairman of the Yesh Atid Party. He was Israel's Minister of Finance between 2013 and 2014. An accomplished journalist, news anchor, and TV presenter, Lapid was named one of the “Most Influential Jews in the World” by The Jerusalem Post. He has published multiple bestselling books in Hebrew.